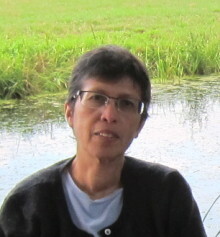 Suraya Afiff lectures in Anthropology at the Faculty of Social and Political Sciences, University of Indonesia, where she was Director of the Centre for Anthropological Studies. She received her PhD in Environmental Science, Policy, and Management from the University of California at Berkeley in 2004. She works closely with Indonesian NGOs and other civil society organisations. She is currently an Asia Scholar at the Faculty of Arts, University of Melbourne.